Love French style? 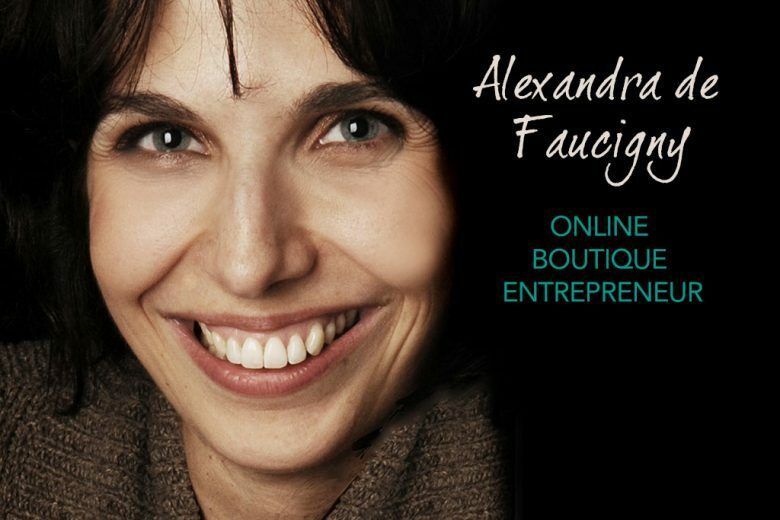 Find out how Alexandra de Faucigny used her two periods of maternity leave to start the UK’s first online membership boutique selling French children’s clothes. I graduated from a French business school. I specialised in marketing and completed a masters degree in the food industry. I have an extensive experience in sales, communication and marketing. Just before I had my two girls, I was a marketing manager in a big FMCG company. What gave you the idea to start Tendre Deal? Five years ago, I was a marketing manager travelling three hours a day to my work, leaving few time to my personal life. I decided to have my two girls while I was working there and I was determined to find a way to find my balance. With my first daughter, I discovered the great variety of activities and products for children available in London. Impressed by the children’s market and because that could bring me closer to my children, I realised it was my path. That was the beginning of my project and my two maternity leaves helped me to make it become a reality. As a marketer and conscious of the importance of the brand, I thought a long time about a name that reflects the bi-culturalism of my business. Once I found it, I bought the domain name, started to build the framework of my website and then looked for the suppliers with something in my hands. I went to Playtime, the International Children’s and Maternity Trade Show and met more than 200 French brands. 90% of these brands were ready to follow me in my project. I came back to the UK and launched my blog to start communicating on the French brands I would distribute. What makes Tendre Deal different? Tendre Deal is not a traditional online store. It’s the first members-only boutique in the UK dedicated to kids from 0-12 years old and French designers. Every week, you will discover new French brands in clothing, toys, accessories and small decorations. Only members will have access to this boutique. Joining is completely FREE and gives you access to these unique French children’s brands and exclusive offers. Once you’ve joined, you will receive your personal and regular invites to the selling events. You will need to be quick though, as the sales will last one week maximum and the quantities of products available are limited. As member, you also enjoy fantastic discounts – up to 70% of the RRP – and discover unique French brands. Tendre Deal Boutique is coupled with Tendre Deal Blog where I present the French brands I am working with, what makes them different and leave the dialogue open with my customers. Why did you decide on a membership site? 13 years ago, a new way of shopping online was created by Vente-privee.com in France. They pioneered the model of online event sales. For the customers, it gave them the possibility to discover luxury designer products at an affordable price. For the brands, they could sell their past collections, reduce their inventory and at the same time promote their brands. Deeply in love with the style, the quality of French brands and aware that they are sometimes a bit more expensive in the UK, I thought that organising sales events on a membership website (also called private sales website) was a great way to make UK families discover new French brands without paying the full price. How do you pick the brands you stock? During the sales event, I am not holding any stock. The flash sale will take place for one week maximum. I will take the orders online and order the stock according to what has been bought. Then I will deliver the items to my customers. That’s the reason why the delivery time is a bit longer than a traditional online store (15 days maximum) but you will get an amazing discounts and products that you won’t find everywhere. I am only promoting French children’s brands, with a story to tell. For instance, the brand can be organic, ethical, made in France, using specific luxury materials, toys that are adapted to premature babies… they are unique and independent French brands that you won’t find on the high street. Mums, dads or grandparents who are looking or the best for their children or their grandchildren. People who want products that they can keep and cherish and even transmit from generation to generation. I have started a blog as I want to add value to the shopping experience and give customers as much information as possible about the brands and the products I am distributing. I am also working on nearly all the social media platforms focusing on Twitter, Facebook and Pinterest. I am planning to start some affiliate marketing with some bloggers to help me to recruit more members. Is your family supportive of your business, and how important is it do you think to have support? My family believes in my business and have seen the passion I have put into it. They are following my regular sales events and supporting me. My girls are also giving me the energy to continue even if they are still quite young and quite demanding. What’s your vision for Tendre Deal? I want Tendre Deal to become the online promotional platform for French kids’ products in the UK and I would love to be known one day as the UK ambassador for French kids’ products. I am inspired by people who are not doing as everybody does, who are ahead of their time and are fighting to change the mentality. The two main ones are Coco Chanel as she revolutionised the fashion for women and liberated them from the ‘corseted silhouette’, and Steve Jobs as he transformed the personal computer industry and pioneered a series of revolutionary technologies, such as iPhone and iPad. Never give up your dreams! Listen to people but not too much. You are the only one to know what’s best for you. Take some advice and make it yours. Be open to new ideas but keep focus on your vision! Don’t be afraid to take more times to achieve your goals but don’t be tempted to postpone because you are scared. Milestones and deadlines are also important to keep moving. 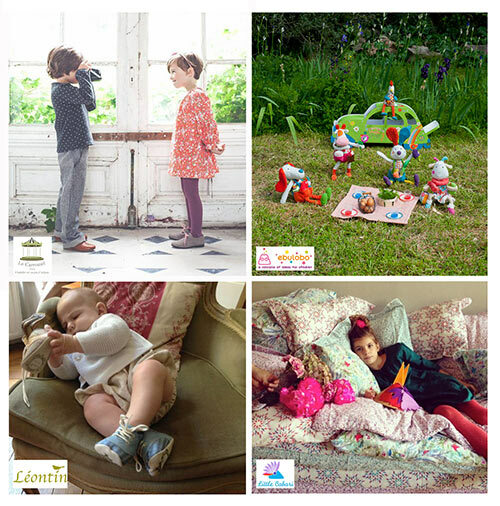 You can learn more about Tendre Deal and the brands they stock on their website and blog.